A track that entered the schedule of the German Touring Car Masters (DTM) for the first time. A country, which is famous of its beautiful weather, but it surprised the racers with heavy rain. A historic night race, and Vivien Keszthelyi who does not give the second place of the championship easily. The Misano World Circuit in Italy had not been included in the DTM until Friday, but it entered the history of the series with its first competitions straight away. 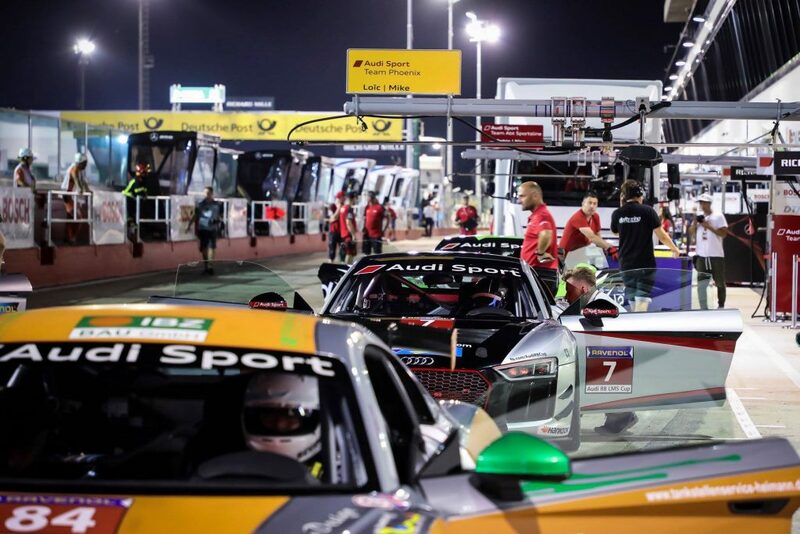 The first ever night race of the championship was an exciting challenge for Vivien Keszthelyi as well, who arrived to the racing weekend occupying the second place of the absolute overall rankings in the GT4 Audi Sport Seyffarth R8 LMS Cup. After Brands Hatch, Vivien had to keep her form at a track that she had not competed on either. Despite the expectations that she was going to need time to get to know to the tracing of Misano, she returned to the pit lane from the first free practice session with the 3rd best time. “The weekend has begun well, but we have to look at these results with caution, since everyone – like me – was just testing the track and the settings. The first qualifying session will be the watershed, it will show if I was able to get used to the circuit in only one hour” – said the Hungarian racer after the second free practice, where she finished 6th. The 17 years old driver did not have to be ashamed after the first qualifier either. She registered to the second row of the early evening race with the 4th fastest lap time. It had been her custom to start well and she did it again, solidly keeping her position until the end of the first race. She finished 4th in the absolute and 2nd in the junior category. The second racing day brought a lot more excitement. The first surprise came right in the beginning of the qualifying session, as it began to rain heavily after the third round and the track became unsuitable to reproduce the best times. Those contestants who aimed to take their fastest laps in the start of Q1 got lucky, but Vivien was among the unfortunate ones and qualified to the night race in the 9th position. Even though the race began chaotically, the Hungarian driver started well again as she was already 6th after the first lap. But this time she had a tougher task to face. Her left rear wheel got damaged in the first corner, which meant that Vivien had to pay even more attention to defend her position and take the car through the finish line. Eventually, she successfully achieved that goal and finished 6th in the absolute category. “The second racing day was more difficult than the first one. Water was already all over the track in the fourth lap of the qualifying session, which made it impossible for me to even start my fastest lap. I had troubles with the rear wheel during the race, but fortunately it was not fatal and I was able to collect 10 points, which could prove to be vital in the end. I am happy that I was able to see through a cumbrous weekend. The rain, the mud, the night race have all given me new experiences that I can turn to my advantage later.” – assessed Vivien. 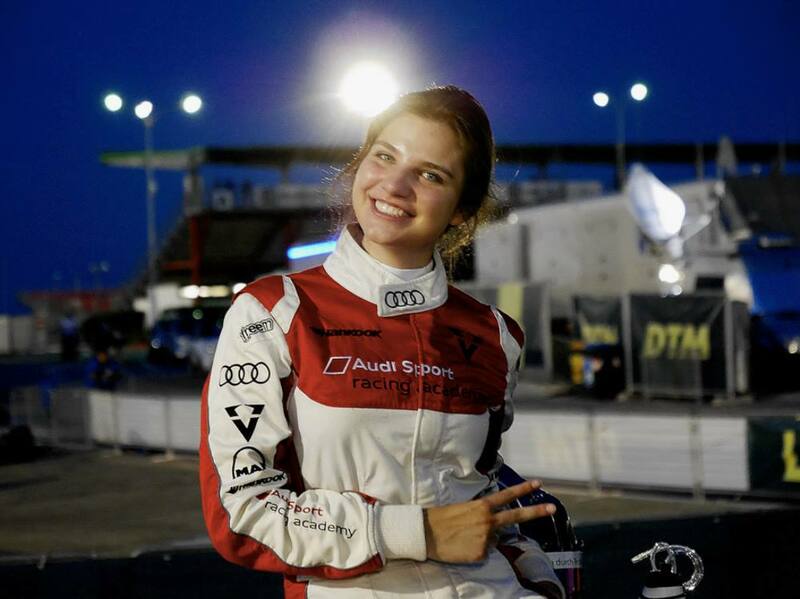 The young touring car driver earned substantial points in Italy and maintained her 2nd position in the absolute overall rankings with only one racing weekend before the end of the championship. The last station will be the Nürburgring in a fortnight, where Vivien may use the experiences she gained to finish the season on a high note.